I haven't heard of another story recently that reinforces the need to check and double check information before making financial decisions. 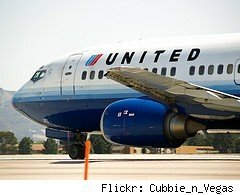 On Monday an investment newsletter mistakenly sent out a story about United Airlines (UAL) filing for bankruptcy which caused the price of the stock to drop as worried investors banged out, "sell, sell, sell!" on their keyboards. The only problem was that the bankruptcy story, passed off as a current event by the investment newsletter, actually happened back in 2002. Something that investors could have figured out if they took a minute to read the article or confirm information. United denied the rumor that it was undergoing bankruptcy after it became clear that this old news had caused its stock price to drop Monday. Analysts expect United's stock to make a recover as the market opens on Tuesday, which could cause the investors who pulled out on Monday a loss if they haven't been paying attention to today's news. Slightly more troubling is the fact that Income Securities Advisors Inc, the company who published the item sees nothing wrong with the action and doesn't plan to put any measures in place to prevent old news from being republished in the future. Don't get me wrong, the losses on this one lie at the hands of investors who didn't adequately research a piece of information before acting on it, and I am sure some of them will suffer financially for their rashness. In another example of market forces, I'm sure that by not addressing the issue, Income Securities Advisors Inc's newsletter will be dealt with accordingly as readers look for more reliable sources of information. Don't forget a hot tip to sell stock should be given the same research that a hot tip to buy stock gets. Don't get burned by your own lack of ignorance.